KUALA LUMPUR: Political analysts and observers are split over the coming by-election of the Port Dickson parliamentary seat dubbed as the ‘PD Move’ following the resignation of its incumbent Datuk Danyal Balagopal Abdullah to make way for PKR president-elect Datuk Seri Anwar Ibrahim. Political analyst Prof Dr Sivamurugan Pandian said the opposition need not place a candidate to contest the seat vacated yesterday as the current political climate makes it impossible for them to win. On the other hand, he called on the opposition parties to concentrate on strengthening their respective parties. He said the decision to place a candidate against Datuk Seri Anwar Ibrahim would not give any major impact despite placing a heavyweight candidate to stand in the seat as seen the three recent by-elections. “After all, UMNO had made such a decision in the Gelugor parliamentary by-election and the Cempaka state by-election before,” he said. 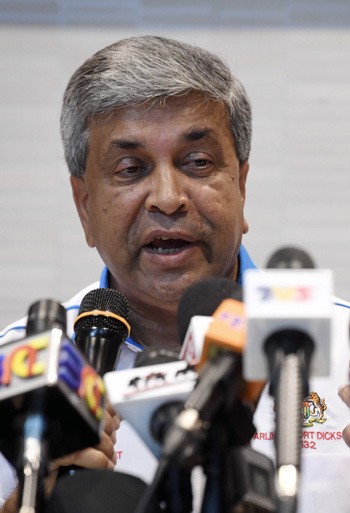 In a special media conference yesterday, Port Dickson MP, Datuk Danyal Balagopal Abdullah announced vacating the seat to pave the way for Anwar to become the eighth prime minister under an agreement between PH coalition members. Universiti Islam Antarabangsa Malaysia (UIAM) political science lecturer, Dr Tunku Mohar Tunku Mohd Mokhtar on the other hand said it was better for opposition parties to contest as a political statement even when Anwar was heavily favoured to win. “In the Seri Setia by-election, the UMNO and PAS cooperation has succeeded in increasing votes for the opposition, and it did made a point..a reduced majority for PH. “The three recent by-election wins for PH should not be a deterrent for the opposition to contest even if the candidate is Datuk Seri Anwar Ibrahim,” he said. UMNO Supreme Council member Datuk Dr Fathul Bari Mat Jahya said UMNO would give its full support to its candidate as it would not give PH a walkover. However, Universiti Utara Malaysia (UUM) International and political affairs senior lecturer Md Shukri Shuib said the bold move proved Anwar also wanted to restore his credibility and strengthen his position in PKR. “If Anwar wins the by-election, it would smoothen the plan for him to be appointed as prime minister,” he said. In the 14th general election, Danyal won the Port Dickson seat with a comfortable 17,710-vote majority. Next Article Soo: Anwar PM, Wan Azizah DPM?